Two cars left Bethlehem in the morning. I was in the first car. After an hour plus in the car, we received a call from the second car informing us that they ran out of gas. So we had to turn around, go to a gas station, buy a special container, fill it with 2 gallons of gas, get to the second car, and fill the empty tank. Then there was this debate of whether the second car should go to the nearest gas station and get more gas before going to the show. It was already 1pm now, the show started at 1pm. Becky, the driver of the second car, decided to go to the show first and fill up later, which troubled many of us: What if the car runs out of gas again? What if the car does not have enough gas to go to the nearest gas station after the show? What if? What if? Anyway we honored Becky’s decision and continued on to the theater. We finally arrived at the theater at 1:20pm. The ushers had to wait till an appropriate time before letting us in. We had seats in the first 2 rows in the center block and they didn’t want us to interrupt the show for everyone else. We went in stood at the side of the theater at the very front. Just as Abram and Sarai entered Egypt, I bowed low and ran in from the side towards my seat in the first row, right in the middle. Two of my friends ran in after me. The others were able to sit on the available empty seats at the side till intermission before taking their proper seats. Sitting at the very front of the theater, I saw everything clearly. 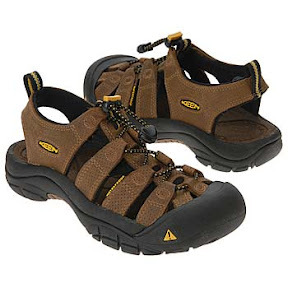 I noticed that all the casts wore Keen leather sandals and they looked really comfortable. I kept wondering if the sandals will get sweaty after prolonged wear. They looked odd but quite cute. After closer observation, I noticed that Sarai was wearing foot covers underneath her sandals. Yes, I was that close to the stage. Hmmm….if she’s wearing foot covers, I guess the sandals aren’t that comfortable after all and it will probably get icky after prolonged wear. Maybe I’ll get Crocs instead. Sitting at the very front of theater, I experienced everything more intensely. When they pumped out the dry ice, I felt the full effect. And I felt and smelled it again and again. As Abraham was on his way with Isaac to Mt Moriah, it was one long sad and heart-wrenching scene. Finally, on Mt Moriah, Abraham placed Isaac on the altar and was ready to slaughter Isaac with a knife. And I realized then that God spared Abraham the pain and suffering of killing Isaac, but He didn’t spare Himself the pain and suffering of giving His only Son, Jesus Christ, to die for us. As Abraham and Isaac were heading home from Mt Moriah, the real donkey (Sight and Sound theaters like to have real animals in their shows) left a trail of donkey droppings all over the stage. Yes, I was that close to the stage. At least the droppings were dry, like brown stones falling and rolling around the stage…hahaha. After the show, we went to Shady Maple Smorgasbord. Smorgasbord is sort of a Pennsylvania Dutch tradition of buffet-style restaurant. There are many smorgasbords all over the Lancaster area. 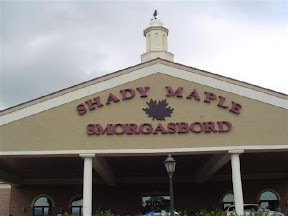 And the Shady Maple is the Smorgasbord of all smorgasbords. That place can seat 1200 people. It looked like a megachurch from the outside. My friend commented that it’s the Church of Gluttony. The food was pretty good but I wasn’t that impressed with the place. They haven’t seen the food places that we have in Malaysia. Our varieties and tastes will trump all smorgasbords! I saw this lone duck swimming in the man-made waterfall (Grandfather Rocks) outside the National Museum of the American Indian (AIM). I found it really charming because it was the only duck there, so I didn’t suffer from the “see one, seen it all” syndrome here. I’ve never seen an IMAX show, so it was a must see when I went to the National Air and Space Museum. 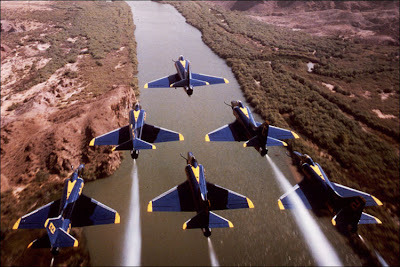 I decided to see To Fly because it was the first and the most popular IMAX show. It was pretty good. However towards the middle, the horizon started to swerve left and right following the movement of the jets and the hand-glider and that was when I felt a bout of motion sickness. After that I just wanted the show to end and spare me the agony. 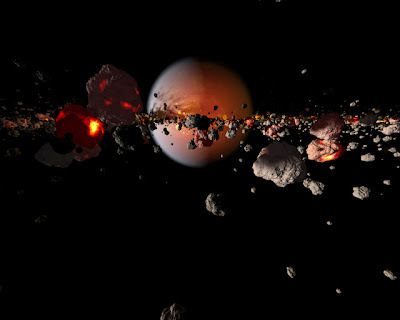 And in less than a month… incredible as it may seem…our moon was formed. That’s right. It took only one month to create our moon. And that got my mind reeling: How did they know it was one month? How can they be sure of it? Anyway, when the lights came up, I saw a 4-year old boy, who came in with his mom, sleeping soundly in his seat. So funny, he slept through the cosmic collisions. I thought this was so adorable. An American Indian creation story mural. I almost bypassed this exhibit but I stopped when I read the plaque and learned that the raincoat was made from the gut-skin of seals. Gut-skin raincoat..that’s amazing! Actually, I don’t think it rains much in Alaska, so I should call it a gut-skin windbreaker instead. This little girl was at the back of the statue. What is she looking at? I was at the Freer and Sackler Gallery towards the end of the trip. Tired and suffering from the “See one, Seen it all” syndrome. And then I saw these two Japanese screens by Ito Jakuchu. Another of his famous pieces, dubbed “Birds and Animals in the Flower Garden,” is arguably one of the most modern-looking pieces to come out of Japan during this period. The piece, one of a pair of six-fold screens, depicts a white elephant and a number of other animals in a garden. What makes it unique, eccentric and modern is the division of the entire piece into a grid of squares roughly a centimeter on each side. Each square was colored individually, in order to create the resulting aggregate image. This is my number one D.C. highlight. A museum burnout in D.C.
Museum admission in NYC is usually around $12-20, so free admission to any good museums sounds real good. 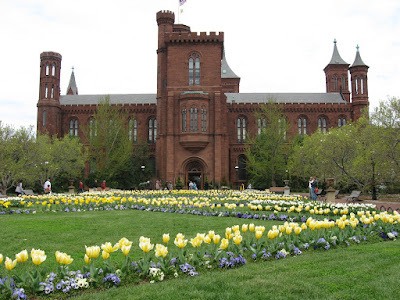 That’s why I like the idea of visiting Washington D.C., all those museums with free admission in one area…wonderful! in 6 hours, I realized that too much of a good thing is bad. I ended up browsing through many things but learning nothing much. I became a museum burnout. After I’ve seen one porcelain vase from the Tang dynasty, I felt like I’ve seen them all. See one japanese screen, seen them all. See one chinese calligraphy, seen them all. See one old aircraft, seen them all. See one space capsule, seen them all. See one native women’s dress, seen them all. See one portrait, seen them all. Seen them all, seen them all, seen them all, I ended up not really seeing anything. I guess to make things worse, there were just too many people. Long lines to enter the museum. Long lines through security checks and metal detectors (yes, there were security checks at each museum, and the bigger museums have metal detectors too). Long lines to the restroom. Long lines to the cafetaria. I’ve learned my lesson, next time I’ll choose just one museum and spend my time slowly looking through the things and actually learn something during my visit.